Shoppers who swallow hard and pay a premium for the clean technology and fuel efficiency of a new electric vehicle (EV) evidently need to gulp even harder when they trade-in or sell that vehicle. Some electrics are losing so much value after purchase, in fact, that they are available at wholesale auctions at the same price or even less than conventional, gasoline-powered vehicles, according to Black Book, a widely used source of used-car pricing data and analysis. While that may be good news for used-EV shoppers, it’s a pain in the neck to current owners. There’s a steep price to pay for owning an electric vehicle. At $36,380 suggested retail, for example, a new 2012 Nissan Leaf four-door hatchback costs nearly double the next-nearest gasoline-powered Nissan, the Versa hatchback. Even applying tax credits for the Leaf aimed at stimulating EV sales, the electric was still $9,560 higher. But after three years, the average 2012 Leaf sold for $7,400 at auction, $900 less than the gasoline-powered Versa, Black Book said, and held just 26 percent of its value compared to Versa’s 43 percent. And that could get worse as more off-lease vehicles hit the market. 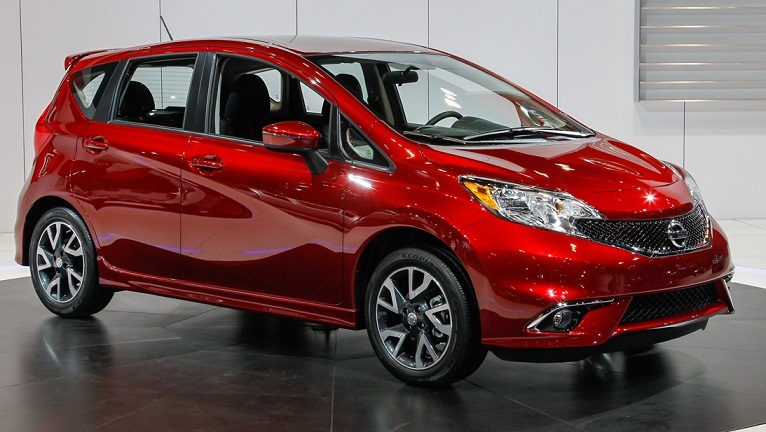 Gasoline-powered Nissan Versa bested its sibling in Black Book analysis. “There are real concerns about the pricing of these vehicles,” said Anil Goyal, vice president of automotive valuation and analytics for Black Book. Black Book reached its conclusions after analyzing the suggested retail price and current used market values of four 2012 EVs and comparable gas-powered models. Goyal cited two other important reasons that demand for new electric vehicles is slumping. First, low gasoline prices have removed a big motivator for switching to battery power. As of Aug. 17, the national average price for regular gas was $2.67, down from $3.46 a year ago, according to AAA. That means it takes longer – if ever – for an EV to pay back the difference in fuel savings vs. a conventional car. “Owning an electric car is not going to save you money on the fuel savings above a new (gasoline) car unless gas prices go way above $7 per gallon,” Goyal said. Second, even though the battery range for the newest generation of EVs can top 100 miles on a single charge, there’s still a lot of so-called “range anxiety” in the market, Black Book said. 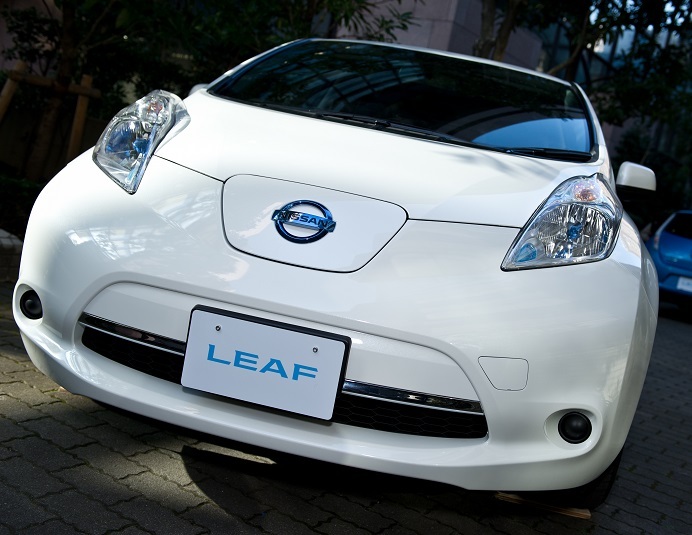 The Leaf is far and away the most popular EV, with Nissan North America selling 30,200 units last year, although best-sellers like the Nissan Altima sell more than 30,000 units per month. Through July, Leaf sales were down 30.2 percent from a year ago to just 10,990, the company said. Besides the Leaf and Versa hatchbacks, Black Book’s analysis compared the Ford Focus Electric four-door hatchback and Focus SE hatchback, the Chevrolet Volt hatchback and Chevrolet Cruze LT four-door Sedan, and the Mitsubishi i-MiEV ES hatchback and Lancer ES hatchback.